Laughter is a wellness program that everyone can afford. 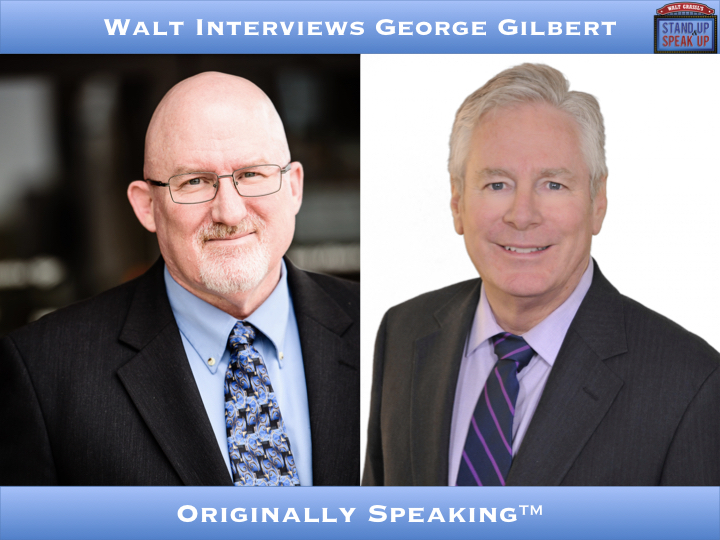 George Gilbert shares the importance of humor in business and the benefits of laughter in life. George is an experienced professional public speaker. He started out as a stand-up comedian. At the age of twelve, he performed stand-up comedy at the at the Disneyland Hotel. His show business background gives him a commanding stage presence. Then, he used humor to overcome challenges in his personal and professional life. George segued his comedy into motivational humor. He started Originally Speaking™. He helps businesses and professional organizations to understand the importance of humor. In 2001, George became only the 50th person in the world to be designated an Accredited Speaker by Toastmasters International. George graduated from the University of Nevada Las Vegas with a Bachelor’s degree in Communications.